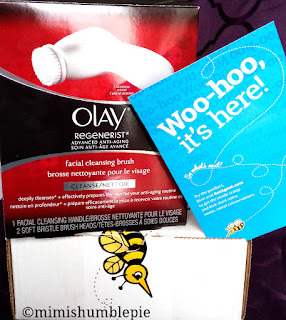 Disclosure: I received product for the purpose of review on behalf of BzzAgent and Olay. All opinions remain my own. 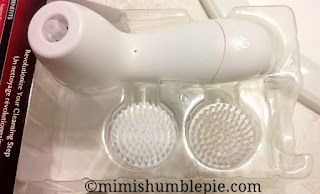 I recently received the Olay Regenerist Facial Cleansing Brush for review. My health and beauty routine is simple, but consistent. I wash my face every day, faithfully removing all make up first, massaging facial cleanser plus water with my hands, and moisturising after the rinse. Assembly of the brush was super easy and done in less than a minute. The bottom of the handle pops off and the batteries (included) slipped in. Two brush heads were included as well. I snapped one on and could start using it right away. I have used the right brush head after washing my face in the normal way first, using my usual cream facial cleanser. So far I have seen one result of using the brush- I was amazed at how much make up must have remained on my skin, given the dirt left on the brush head. Other suggested benefits of this product include younger, fresher skin- and is meant to prep your skin for the Olay Regenerist Anti Aging Cream. This product has two spin spins to choose from, and the brush is soft and gentle on my sensitive skin. I will be using the Olay Regenerist Facial Cleansing Brush for the days and weeks ahead and maybe work up the courage to post a selfie to show the results. 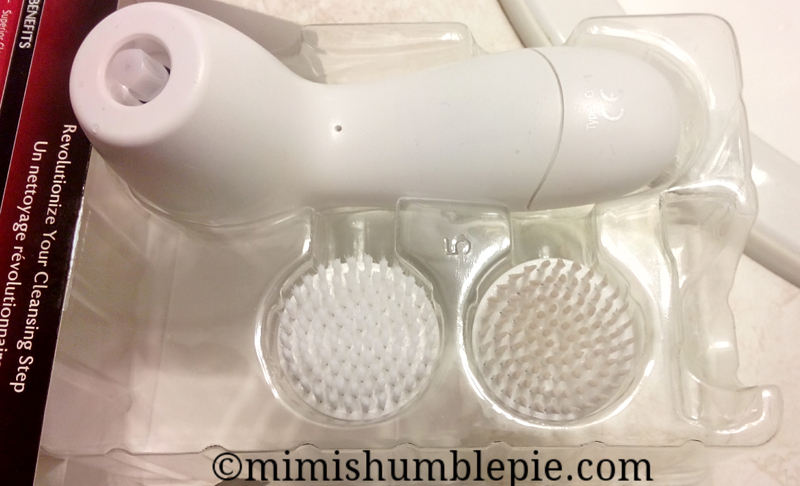 Verdict: I like the ease of use, having the choice of two cleaning speeds, and am happy with the results so far. Seeing how much make up was being left behind on my face makes me glad I began using it.